Hogan Eng and Bill Aston talk about the two FIRST Robotics Competition teams that ebm-papst supports in Farmington and Woodbury, CT.
Q: This year's FIRST Robotics Competition, Ultimate Ascent, game requires robots to fling plastic disks (Frisbees) and climb a metal pyramid. How did your teams approach this challenge as students conceived, designed and built your robots? Hogan Eng: To help Team Beta understand the pros and cons of alternative strategies, we begin by simulating several rounds of the game. Students acted out behaviors of robots that would have certain characteristics, such as a long shooting robot, a climb-only robot or a defense-only robot. After discussions on what strategies could work, we brainstormed what kinds of mechanisms could be built for each strategy. We then voted on what approach was best given the six week time frame allowed to build the robot and the resources available. Our team worked in sub-groups responsible for developing the robot’s drive train, shooter, climber, programming elements and pit design. Each sub-group was composed of two mentors and a mix of veteran and new students. This provided the best support for new students while training our veteran students to be future mentors. Bill Aston: ebm-papst employee Matt Crossman, an alumnus of Farmington’s 2nd Law Enforcers, determined the team’s strategy for this year’s game. The team focused the robot on being able to effectively score points by throwing the discs. The robot’s design also had to allow it to climb the pyramid. Q: What, and how, did ebm-papst contribute to each team's robots in terms of design, engineering and production support? Hogan Eng: While at the team meetings, I volunteered my experiences with program management and engineering design reviews. I also mentored the team’s shooter sub-group. When each group had robot parts that needed more sophisticated fabrication, I would bring the sketches to John DeMarco who would draw the part in CAD and tweak the design for better strength, manufacturability and aesthetics. The CAD information was then sent to Bruce Thibodeau for programming the parts. Tom Shimeld cut parts on the company’s laser machine. ebm-papst employee Mike Warner bent the parts. Employees on our production floor helped insert and paint components. In the meantime, another employee from ebm-papst Inc., T.J. Berti has come to our weekend meetings to train our students in TIG welding, making them quite accomplished welders! Q: The 2nd Law Enforcers have been around since 1997, and Team Beta's been around since 2009. How have each team's students evolved over these periods? How have they grown support from their schools and in their communities? Hogan Eng: Team Beta started out as a group of 12 sophomores at Nonnewaug High School. As the team's success grew in the school and in the surrounding community, we have grown to about 30 students and a dozen mentors. We’re now attracting students from other areas to Nonnewaug High who are joining our robotics team. During the team’s fund raising events, we displayed the robots and the students invite the community to ask questions. The team created the Connecticut Tech Fest, where we invite companies, other robot teams, universities, clubs and branches of our armed forces do display any really interesting mechanisms, inventions and products to the community. To promote careers in science and technology, the team actively engages other students. Bill Aston: When I started as a mentor ten years ago, Farmington High School only recognized The 2nd Law Enforcers as a club. Now they are a team, with the same benefits as the school’s sports teams. Every year the older members of the team pass down what type of CAD files and geometry that we need to effectively produce parts off of our equipment. ebm-papst internal mentors Matt Crossman, Dale Watson, and TJ Swistro help with trouble shooting and working parts through production. ebm-papst continues to provide materials, our shop equipment time and the resources of our people. Q: Why do you continue to dedicate your expertise and support to these teams? Hogan Eng: I really believe in the ideals of FIRST, which encourages students to go into technical fields where they can have the opportunity to improve their lives, our communities, the country and the world. 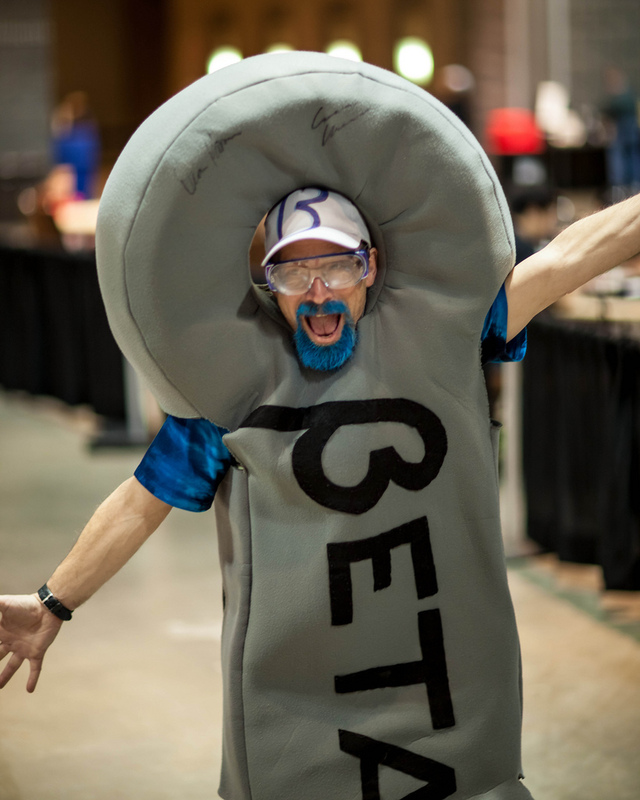 FIRST Robotics believes that our young people have a much better chance of becoming an engineer and making something useful as opposed to becoming a pro athlete. I have loved science even as a child and have become successful as an engineer, so this is my way of giving back to the community, sharing and teaching what I know to students who may have the same kinds of interests. Bill Aston: My focus has shifted slightly; most mentor expertise comes from Matt Crossman, who is an alumnus of Team 178 and now manages most of the team’s activities for me. Q: What would you say is one major way the students' robots have evolved since you became involved with the FIRST Robotics Competition? Hogan Eng: I originally helped start a different robotics team in Woodbury back in 1997. That program focused on a mechanical design challenge with some basic program writing to customize how the robot is controlled. Being an electrical engineer, I commented that there wasn't enough of an electrical component for the kids who may have more advanced interests in electronics. Well, 16 years later, I am amazed at the level of sophistication of the robots and the skills of the students in C++ programming of gyros, accelerometers, visual image recognition, target tracking and more! As the technical world gets more complicated, these students have risen to the challenge. 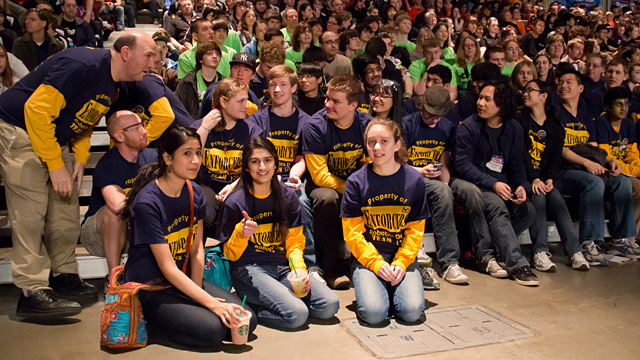 FIRST Robotics has provided an accelerated path to lead them there. Q: Tell us about one moment or experience associated with CT FIRST that is either your favorite and/or one you know you will never forget. Hogan Eng: It was 2009, our team’s rookie year. We had built a beautiful robot and headed to our first competition in Hartford. We won the Rookie All Stars award for our presence as a unified team, our robot design, and how well the students presented to the judges. Other teams thought we were a veteran team! We were thrilled. We realized this is not all about building a robot. It’s really about what the team had achieved over the six weeks in technical, organizational, interpersonal, and social and communication skills. We had formed a tightly knit group that was more like a family. Bill Aston: One of my first years I showed a sophomore female student how to use an ordinary drill. She ended up being a leader in the engineering/build department of the team by the time she was a senior. For additional information about CT FIRST programs, visit ctfirst.org. For additional information about FIRST, visit usfirst.org.